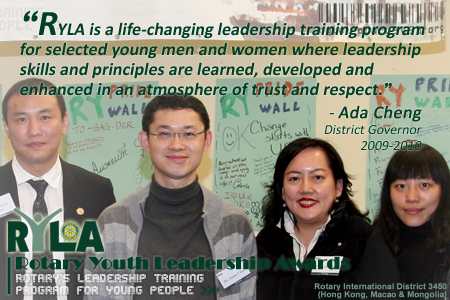 I am very pleased and honored to welcome you all to the Rotary Youth Leadership Awards ("RYLA"). RYLA is a life-changing leadership training program for selected young men and women where leadership skills and principles are learned, developed and enhanced in an atmosphere of trust and respect. You will at the same time build friendship with like-minded individuals and develop a life-time network with the participants. 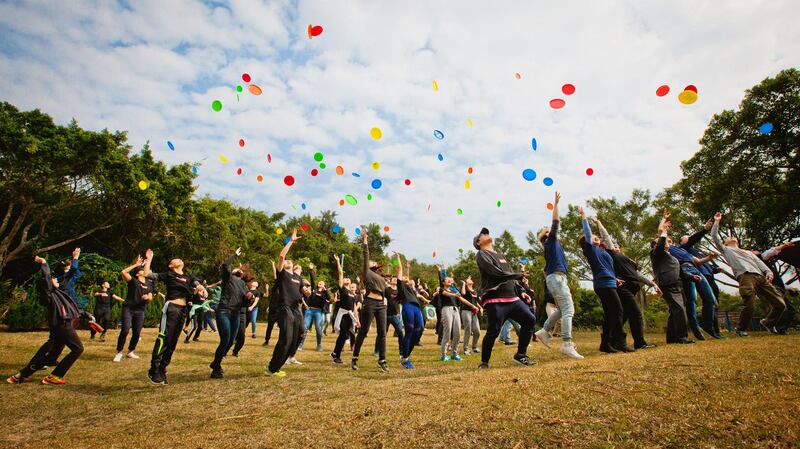 During the four days camp, you will have the opportunity to hear from professional speakers, to have fun with group activities, to form lasting friendships, and to develop and grow as a person and as a leader. You must learn how to help a person in need and move them toward success as well as increast the chance that they will help the others. Responsibility and honesty are fundamental parts of leadership, but without kindness and care to the others, a leaders will not thrive. This year's Rotary Theme is "The Future of Rotary Is in Your Hands" and the theme of this year RYLA's programme is "Leaders: Future is in your hands". The Future of our Communities is also in your hands. I urge all of you to actively participate at the different programme with confidence throughout the four days. Learn and develop skills and you will be able to achieve more than you ever thought possible. I would like to take this opportunity to express my appreciation to all the members who volunteered thier time and effort to support this event. Thank you for sharing your invaluable experience, enthusiasm, commitment and passion to the youth. May we all continue the seeds of giving and sharing and putting Service Above Self in everything we do. Wishing all of us and even brighter future in the coming years because "The Future of Rotary is in Your Hands"!